Whether you’re looking for free luxury hotel stays, first class flights, free flights home, or big rewards on gas or groceries, there are some fantastic credit card bonuses out there. I’ve listed the top ten credit cards for travel of 2014. See the full top ten after the jump. American Airlines miles are the undisputed best miles for ultra-luxury redemptions, and the miles are valuable for trips to Asia, South America, Europe, and Australia. 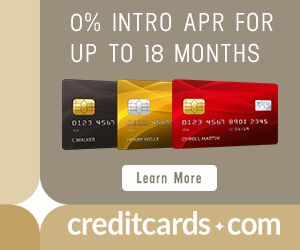 Citi offers the American Airlines MasterCard with 50,000 bonus miles after spending $3k in the first three months. Beyond the sign up bonus, the other huge benefit that cardholders get is a 10% rebate on all American Airlines award redemptions up to 100k miles redeemed/10k miles rebated per year. Example: You book Cathay Pacific First Class from San Francisco to Hong Kong for 67.5k miles. In a few weeks, you’ll get 6,750 miles rebated to your account. Tip: You can also get the CitiBusiness® / AAdvantage® Platinum Select® World MasterCard®, which comes with another 50k bonus miles after spending $3k in the first three months. There are four Southwest cards that are currently offering 50k bonus Rapid Rewards after spending $2k in the first three months. Here’s an article explaining the four cards, and how to use them to get a Southwest Companion Pass. This card earns 2 miles per dollar, which is 2.22 cents back toward travel, on all purchases. I cancelled my AAdvantage Visa card about 15 months ago. 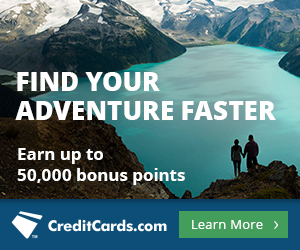 Can I apply for AAdvantage World MasterCard and get the 50,000 AA miles? That thread has people’s experiences. The consensus is wait at least 18-20 months from your last application. I tried the “Citi American Airlines business card” link and it’s not working. Did they close this offer? Scott, rookie question: Still not cool to apply for two Chase personal Cards at the same time? I think one at a time is best. I know people who get approved for two. They tend to be new to Chase applications. I also think the chase Freedom is one of the best and most underrated cards out there……..5X every quarter for special categories with no annual fee which means a positive contributor to your credit longevity for LIFE……..plus a 10% annual bonus for checking account holders….link with Sapphire Preferred for transfer options………and this quarter Circle K is a great place tp buy $1500 VR cards max the 5X and go on your way………..